As November welcomes Thanksgiving, it also marks another important yearly milestone – National Homecare and Hospice Month. Among the many reasons to be thankful this year, one of our greatest is for the caregivers, hospice nurses, and therapists that care for the elderly and those living with illness or injury. In fact, professional caregivers contribute immensely to the quality of life of patients and their families. Every year, over five million Americans receive compassionate, high-quality care from home. Those advancing in age prefer in-home care – a recent poll shows that 90% of Americans desire to age in their own home. Caregivers make it possible for seniors and those who are chronically ill to stay at home and maintain a comfortable way of life in a familiar and safe place. Caregivers dedicate themselves to delivering quality care every day and work to ensure patients receive the care they need in the comfort and privacy of their own home. Aside from daily assistance, professional caregivers also provide immense physical and emotional support to patients. The responsibilities of caregivers are diverse and flexible to meet the specific needs of each and every client. Generally, caregivers assist clients with their daily routines, activities, and needs. This may include food preparation, buying groceries, ordering medication, and ensuring patients take their medications on time, in the right way. Caregivers also play a crucial role in the communication between their client’s doctor and family regarding the client’s health status and needs. While these responsibilities only skim the surface of what caregivers do on a daily basis, their duties have a significant and direct impact on the day-to-day experience of clients. Caregivers put a lot of skill and compassion into their work so the elderly and the sick in our communities can stay healthy and happy. In 2018, home care providers will have traveled approximately eight billion miles to deliver the very best in care. Caregiving is challenging and difficult work, but that doesn’t stop caregivers from giving their best, day after day, to help clients maintain their quality of life. While there are professional care providers working both in-home and in facilities, the majority of in-home care is actually provided by family caregivers. Family caregivers are family and friends that help their loved ones on a regular or occasional basis. In many households, however, all of the adults work outside the home making it challenging for them to take on the role of caregiver and care for a disabled or elderly family member. Despite these obstacles, over 40 million Americans provide 37 billion hours of unpaid, and “informal” care for their loved ones every year. That’s a lot of time to sacrifice in addition to jobs and personal responsibilities. Careers, personal schedules, and other commitments can make it impossible for many families to combine professional pursuits with dedicated care for their loved ones. This creates a demand for professional caregivers for full or part-time engagement. Caregivers are able to completely focus on their clients and provide the right care at the right time. 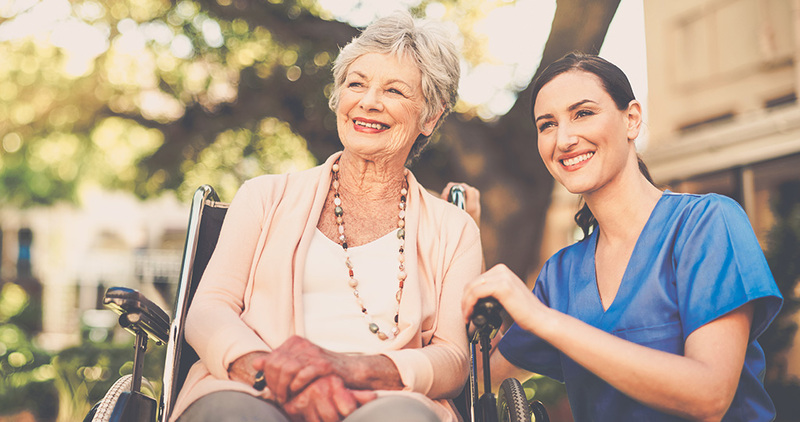 Complex and sensitive tasks like assisting patients with mobility issues in moving about the home and maintaining appropriate hygiene are handled with dignity and respect. As the average lifespan continues to increase in length, more seniors will require specialized care for longer periods of time. 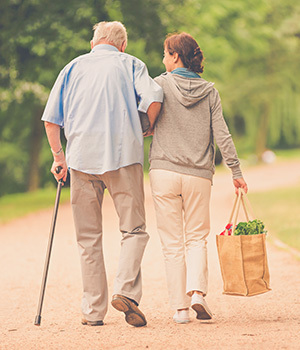 It is essential we recognize the important roles that professional caregivers play for not only their clients and families, but for society and communities as a whole as our health and wellness landscape continues to evolve and grow. This November be sure to thank and celebrate the caregiver assisting you or your loved one in enjoying a better-quality life! These distinguished professionals work hard to deliver quality care every day – they deserve our appreciation for their service this month and throughout the entire year!